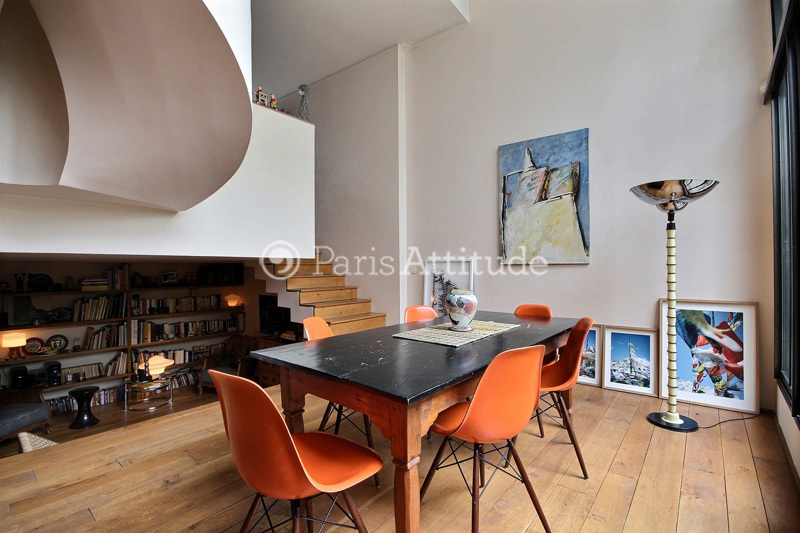 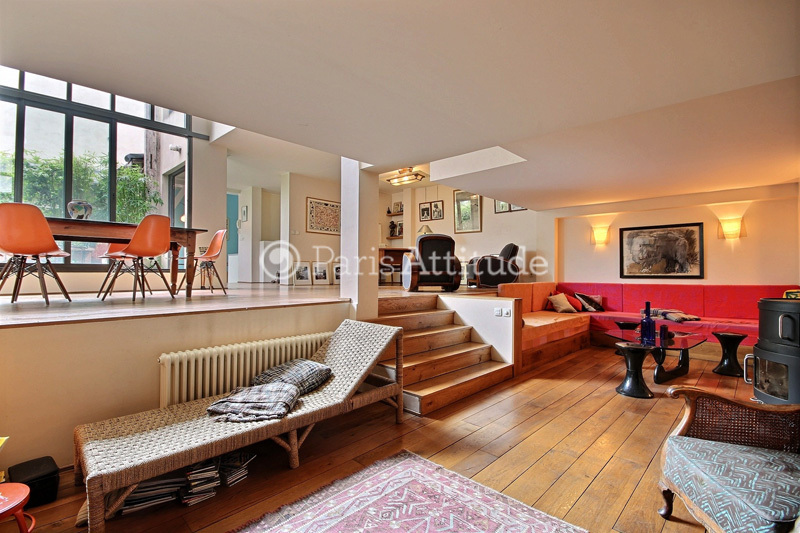 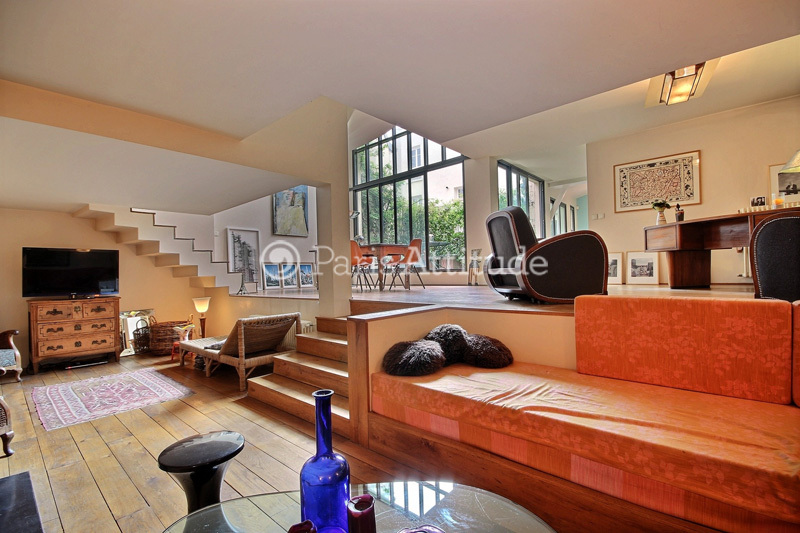 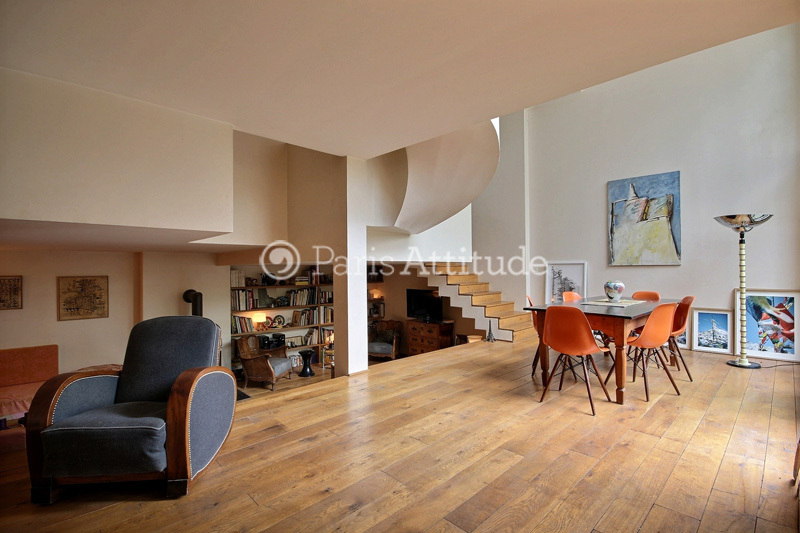 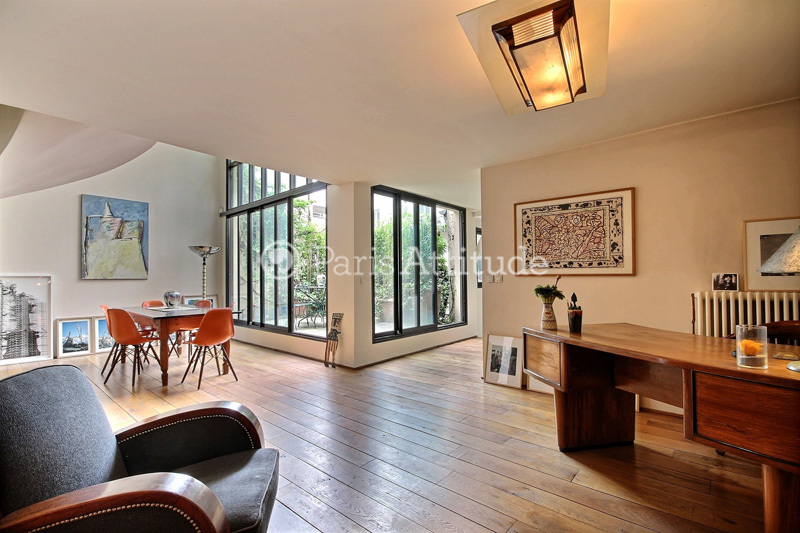 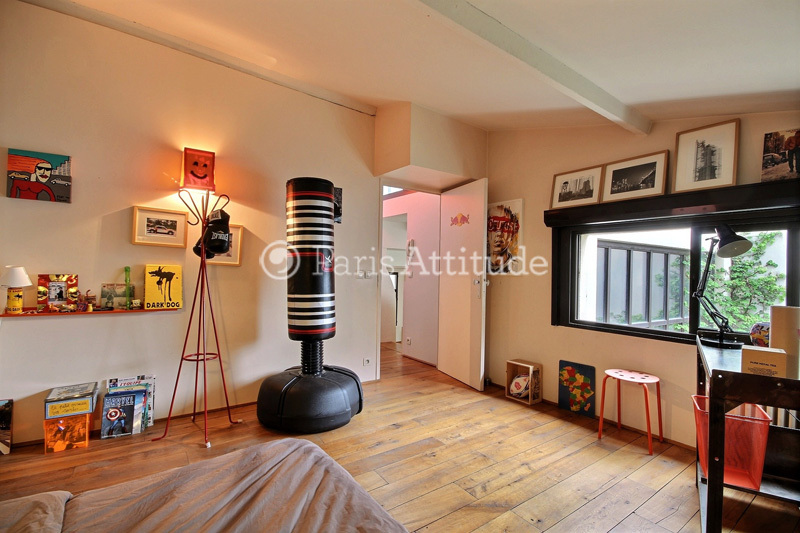 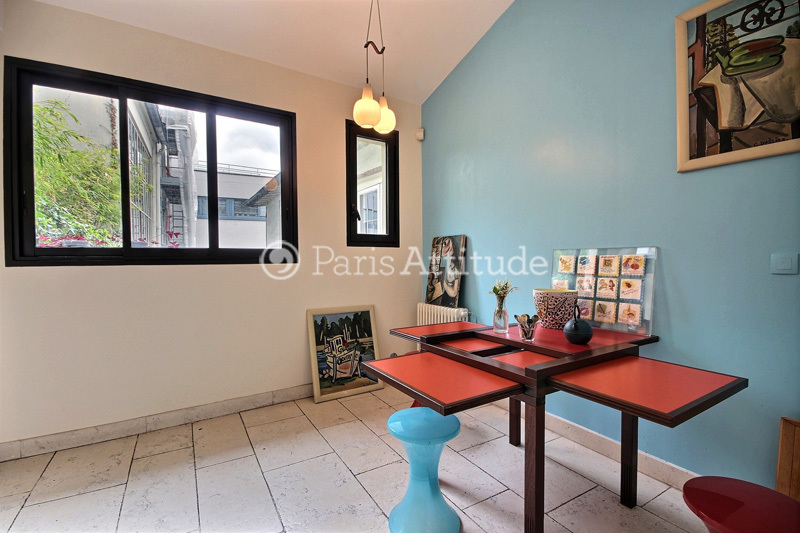 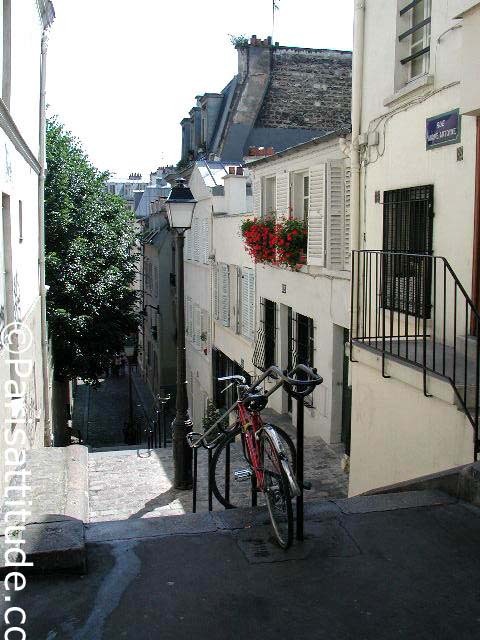 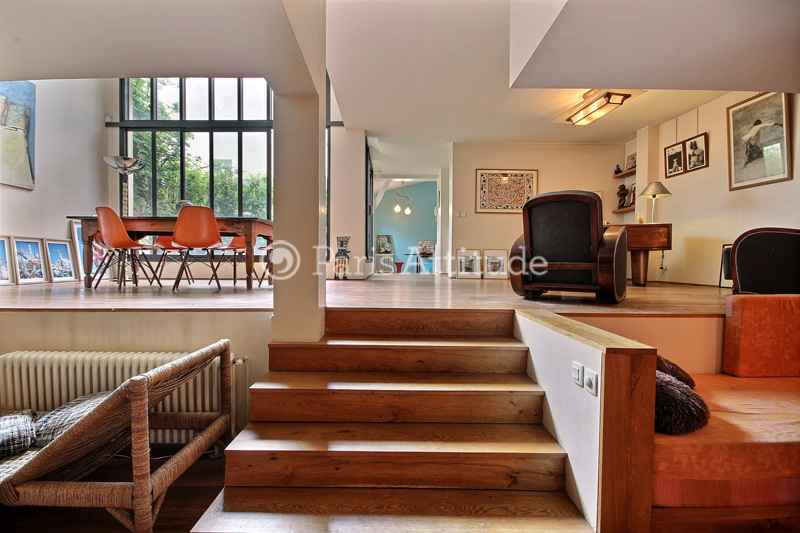 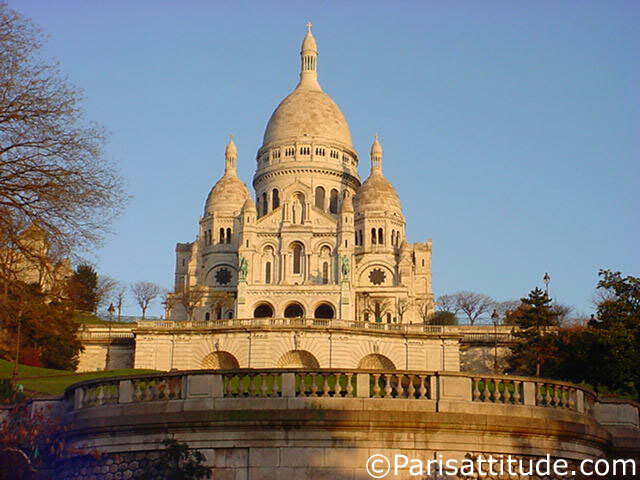 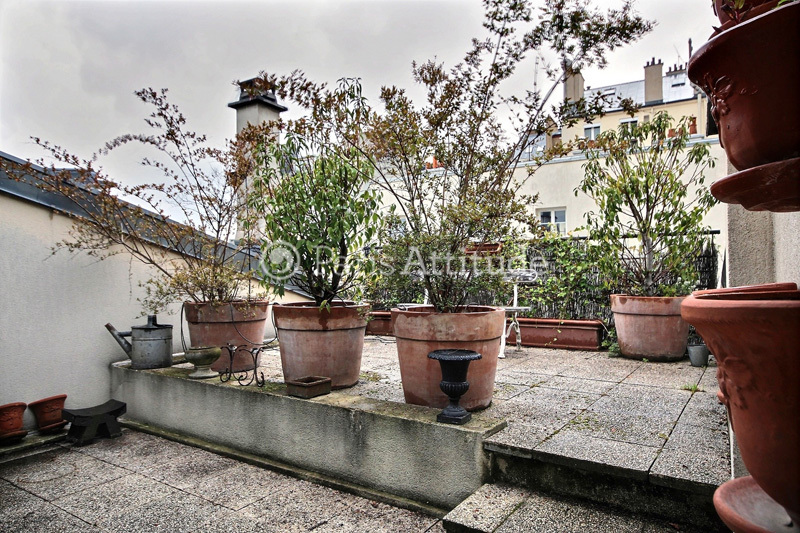 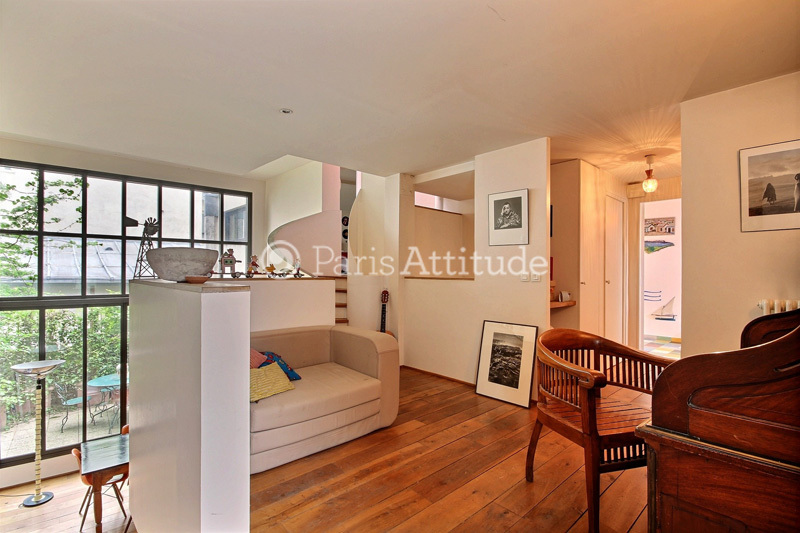 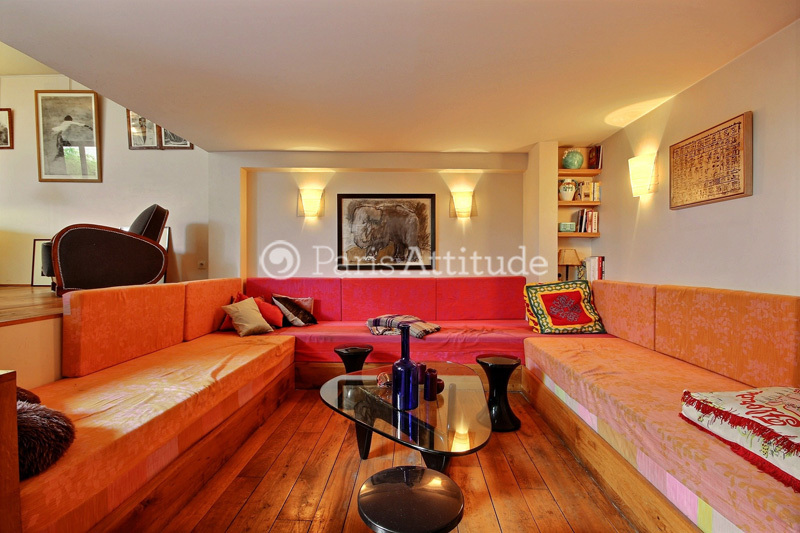 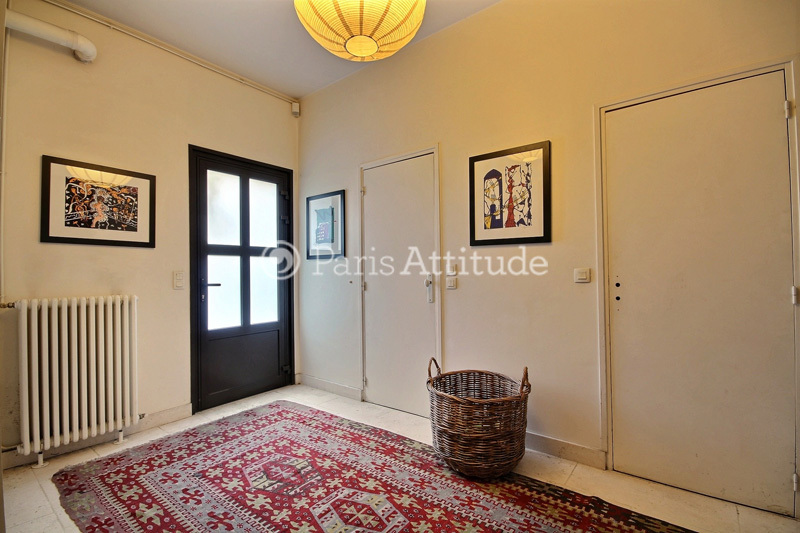 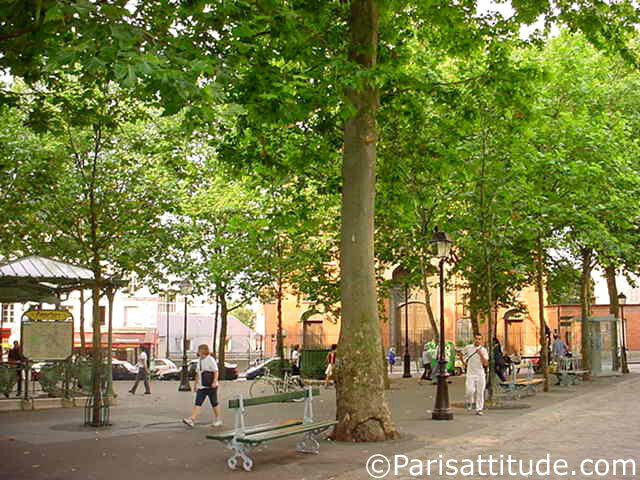 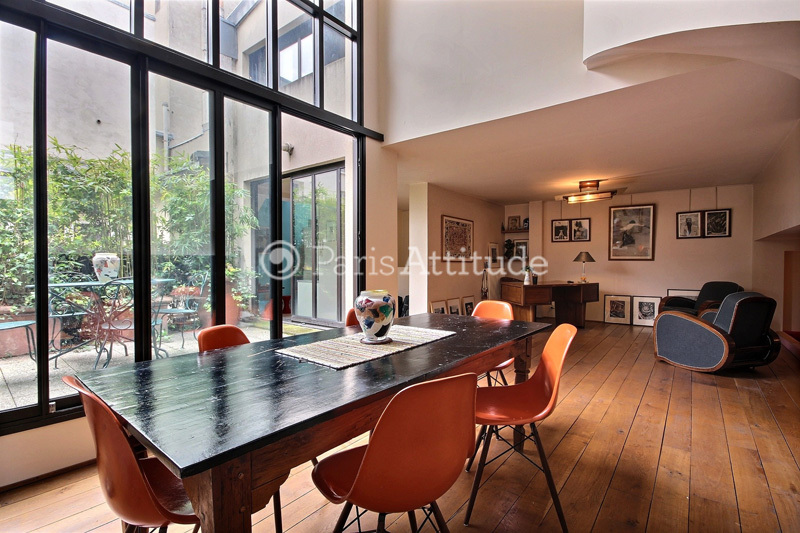 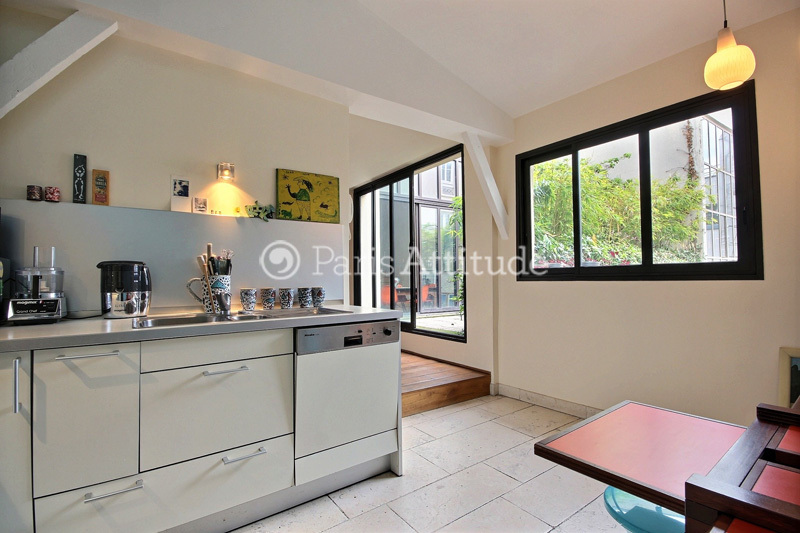 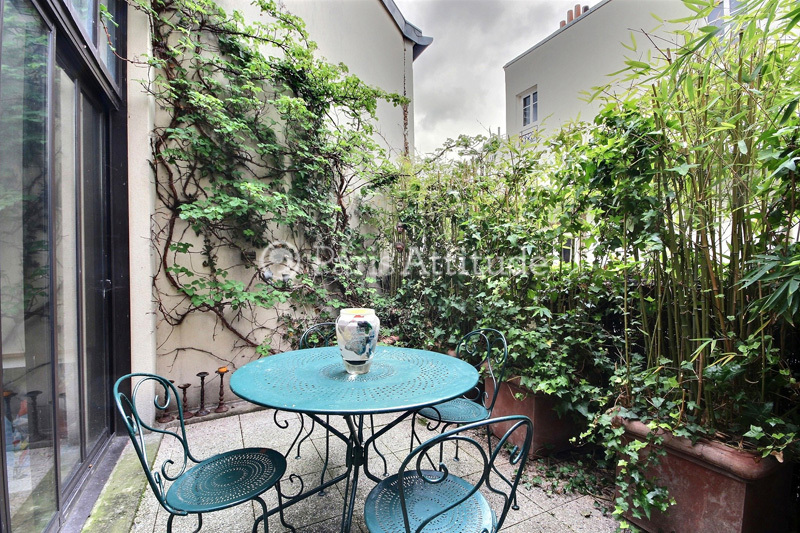 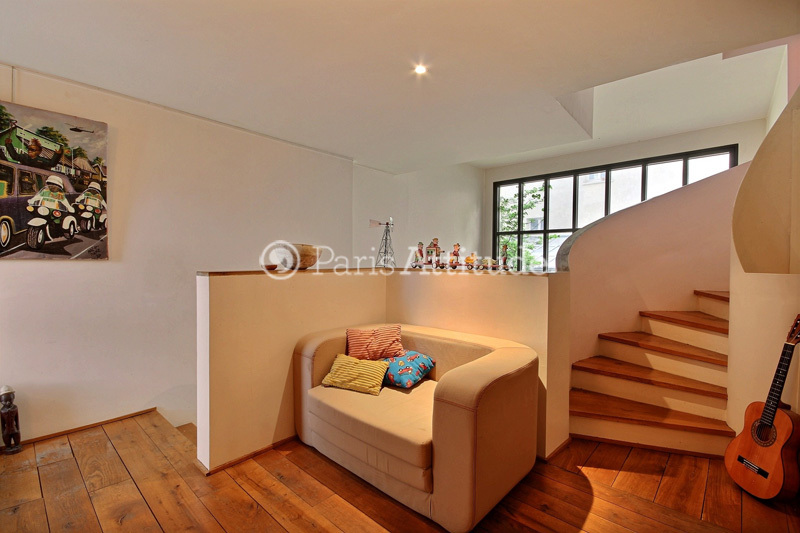 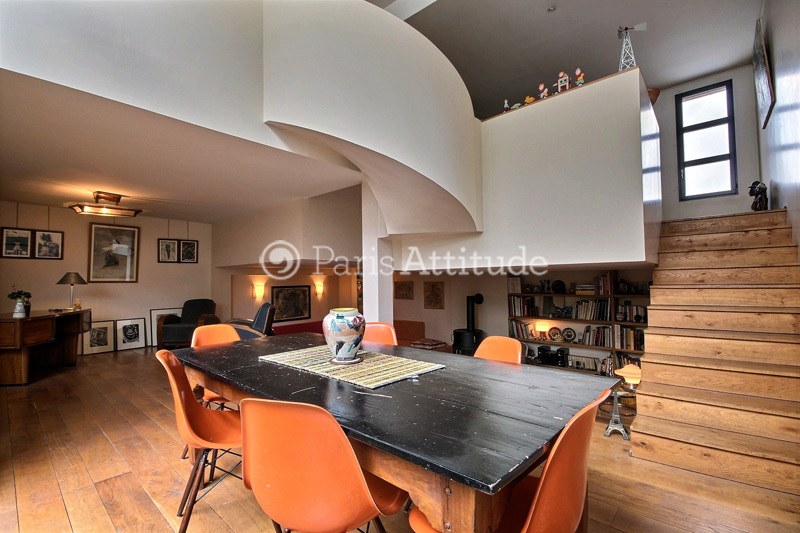 This charming and cozy 200 square meters , 2 Bedroom, apartment is located on rue Joseph de Maistre in the 18th arrondissement, on the ground floor of a 19th century building and it sleeps 6 people. 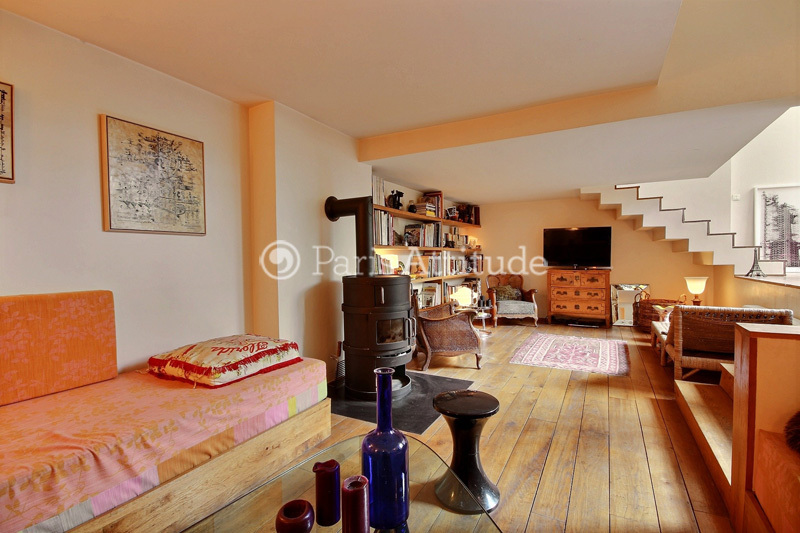 This apartment is equipped with : washer, dryer, dishwasher, cable, TV, unlimited high speed internet access, terrace, phone, DVD, stereo, decorative fireplace. 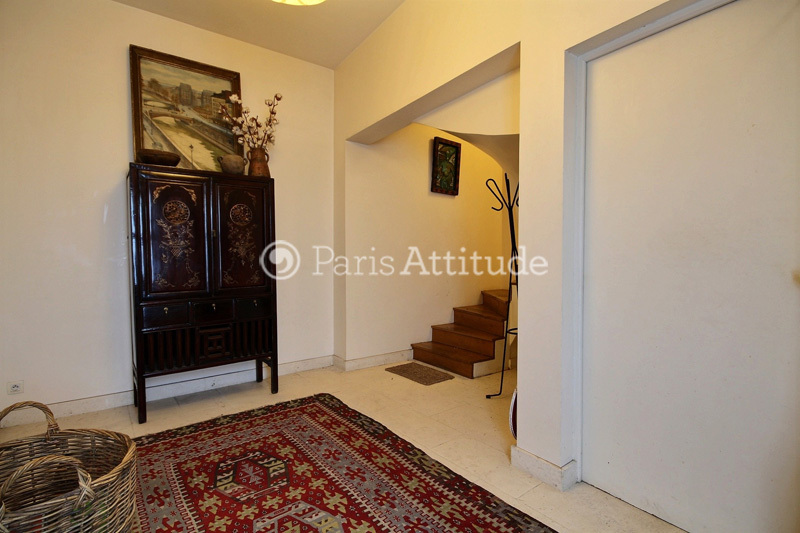 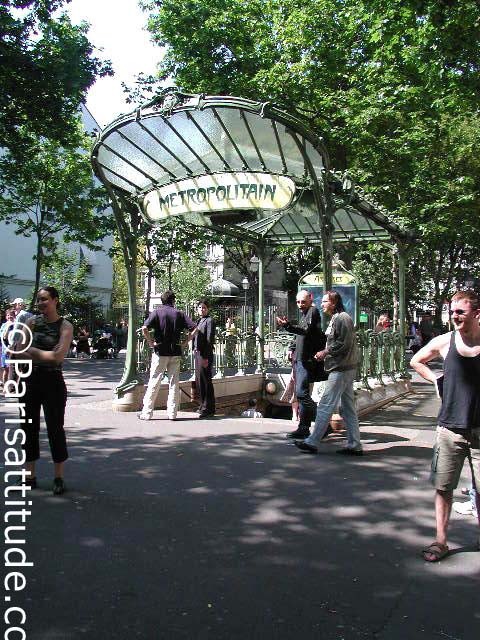 There is the 15 square meters entrance. 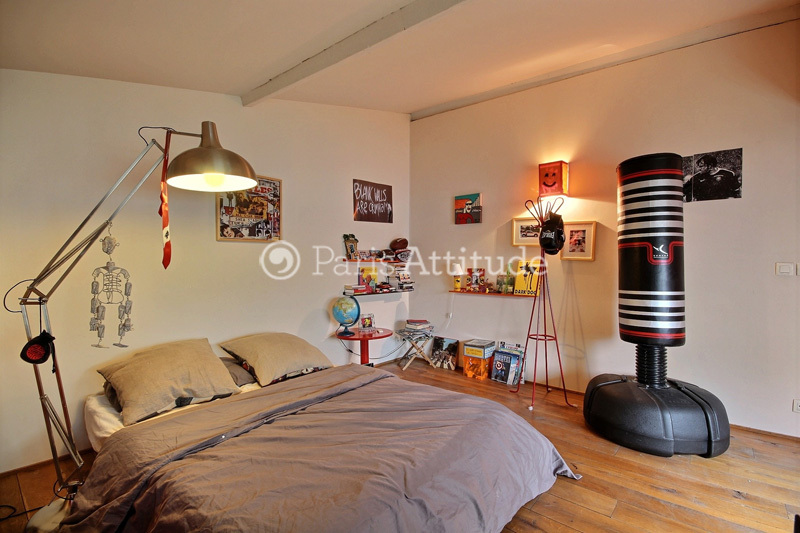 It is on the groundfloor. 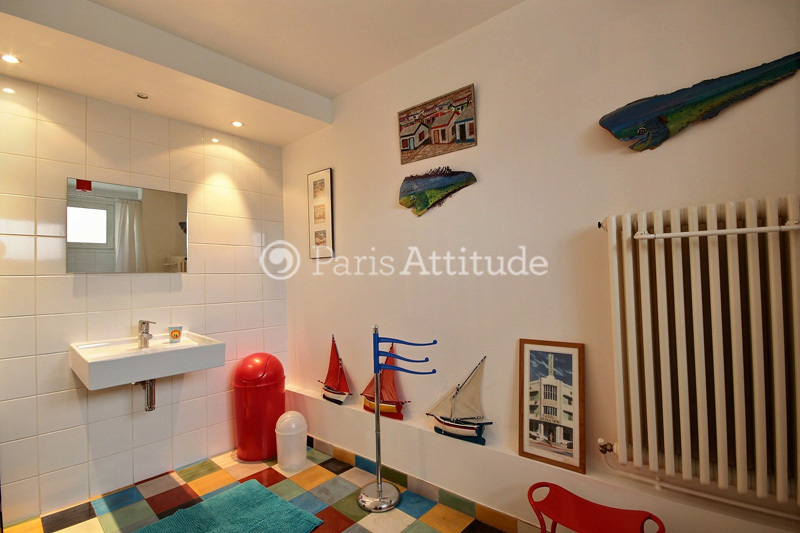 There is a 5 square meters laundry room with: washer, dryer and a 2 square meters toilets. 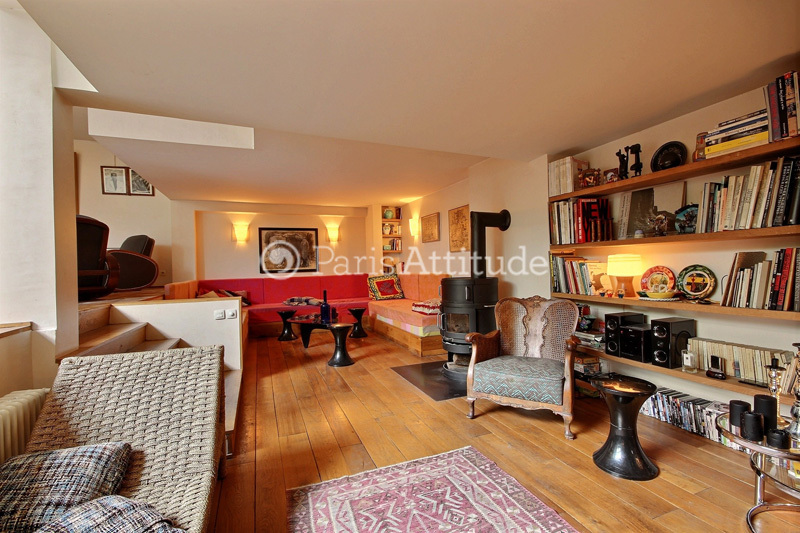 The living room is on the 1st floor and equipped with : sofa, coffee table, cable, TV, DVD, stereo, phone, 2 armchairs, decorative fireplace, hard wood floor. 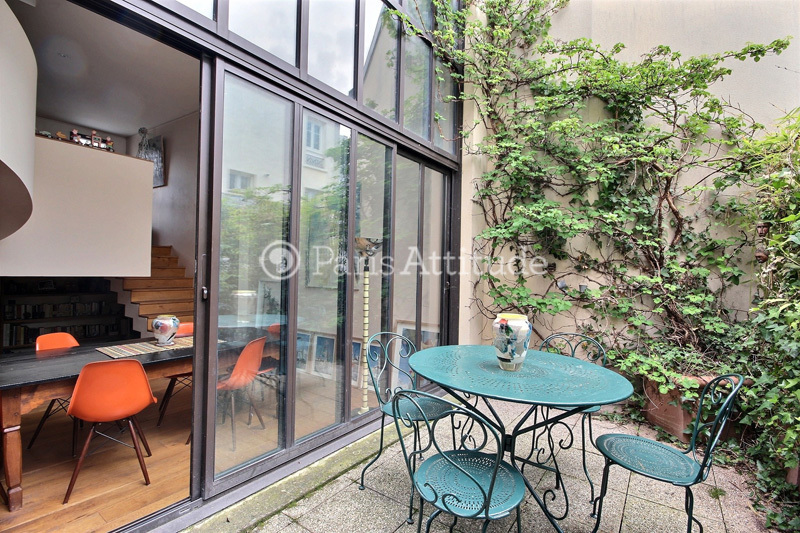 The 14 square meters eat in kitchen has a double glazed window facing courtyard . 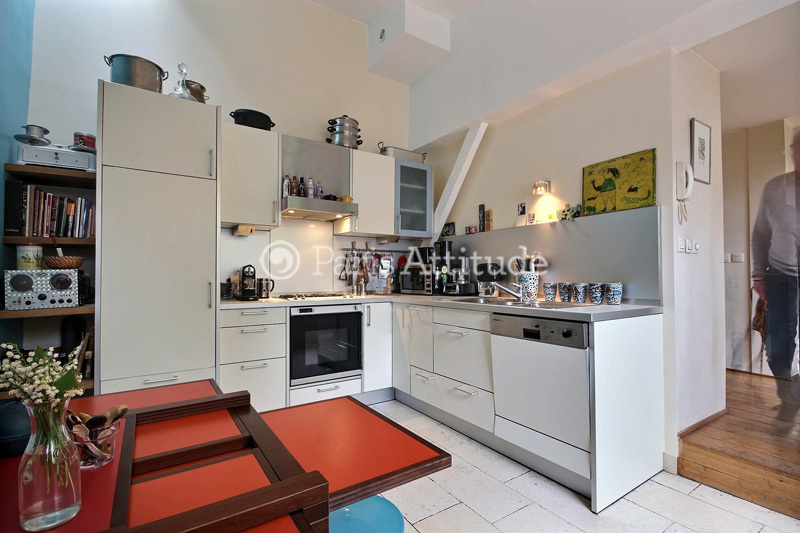 It is equipped with : breakfast table for 4 people, fridge, dishwasher, gas burner, extractor hood, oven, microwave, toaster, coffee maker, kettle, and all kitchen utensils, tiled floor. 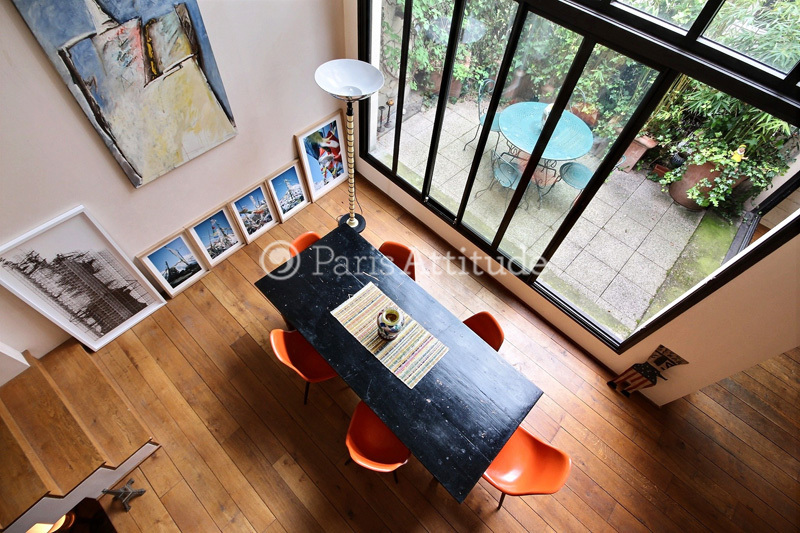 The 40 square meters dining area is equipped with : dining table for 6 people, desk, 2 armchairs, hard wood floor. 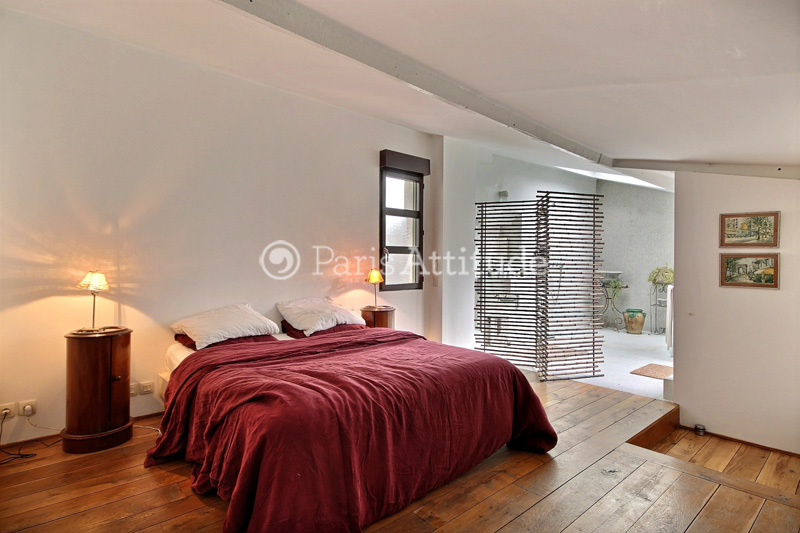 The 20 square meters bedroom is on the 3rd floor and open on the bathroom 1. 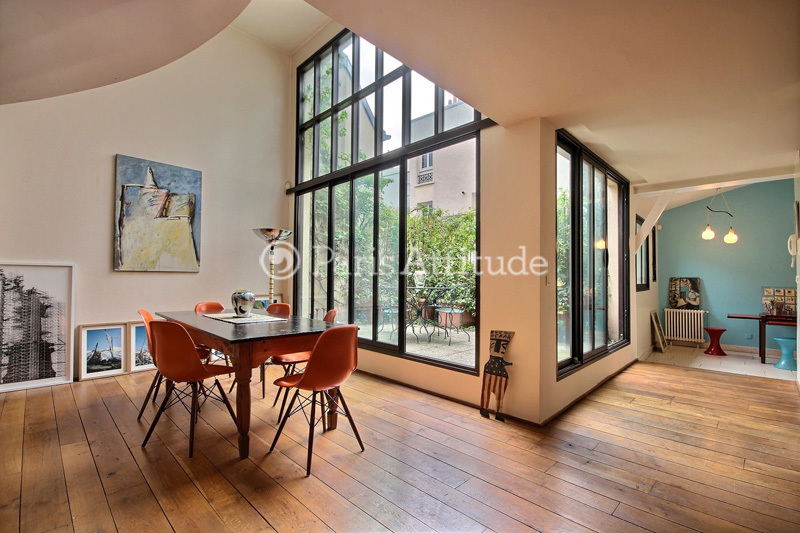 It has a double glazed window facing courtyard . 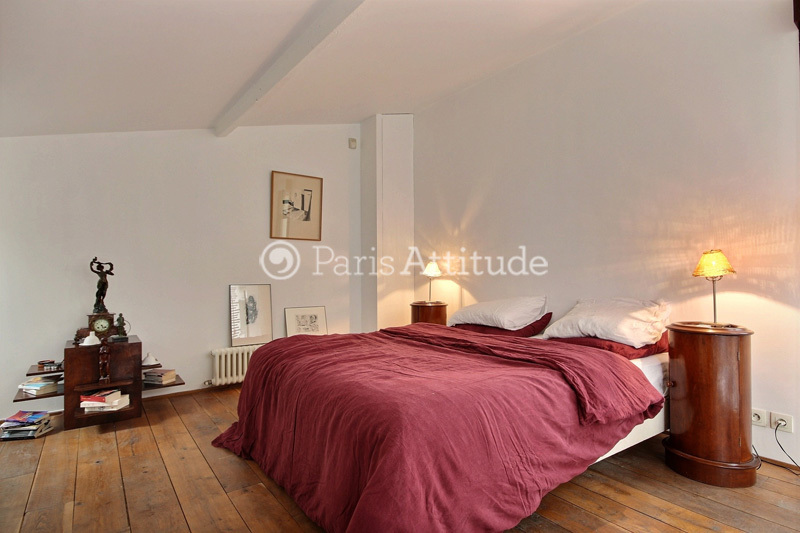 It is equipped with : european queen size bed (1.60m), 2 bedside tables, chest of drawers, TV, hard wood floor. 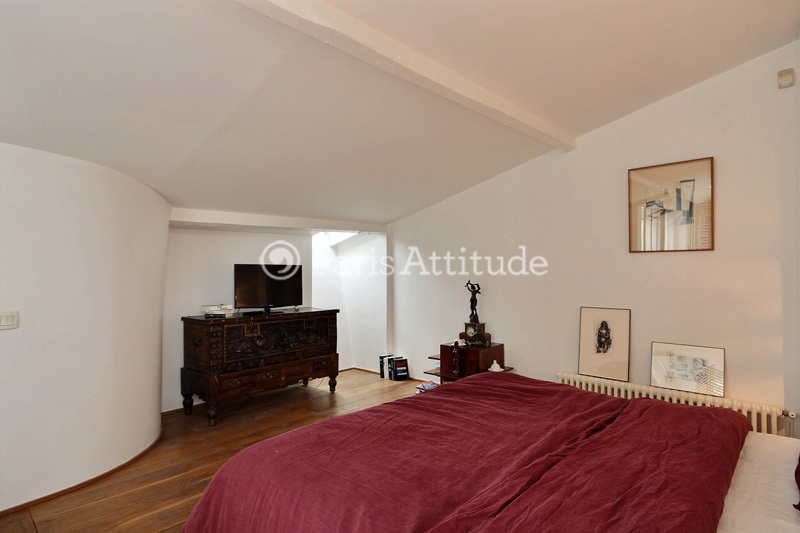 The 18 square meters bedroom is on the 2nd floor and has a double glazed window facing courtyard . 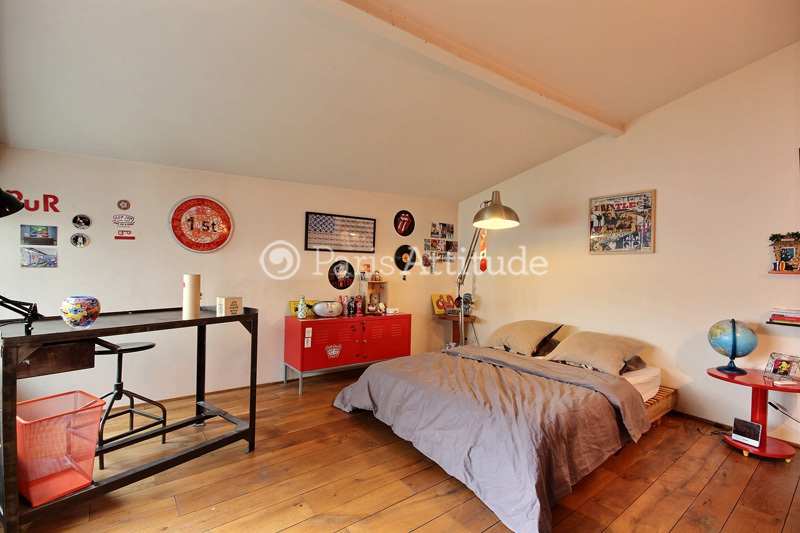 It is equipped with : double bed (1.40m), 2 bedside tables, desk, stereo, hard wood floor. 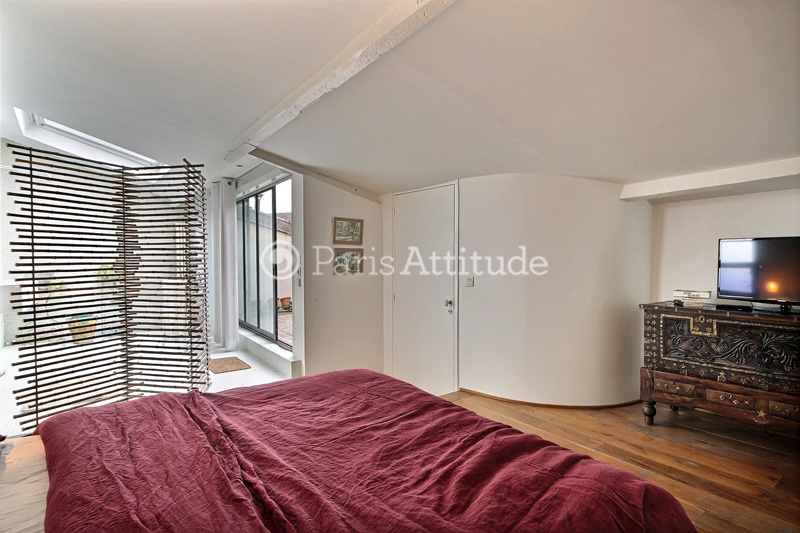 On the same floor you have a 5 square meters walk-in-closet. 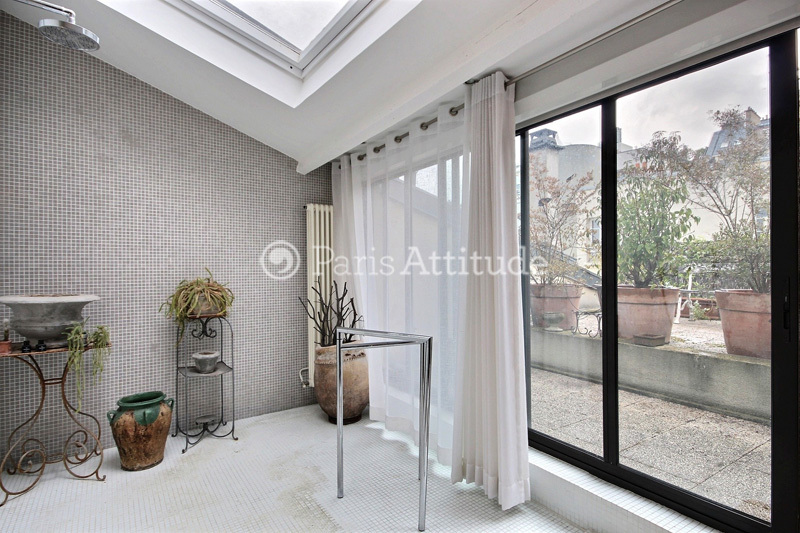 The 10 square meters bathroom is contiguous to the bedroom 1 and has a double glazed window facing courtyard and leading to the terrace . 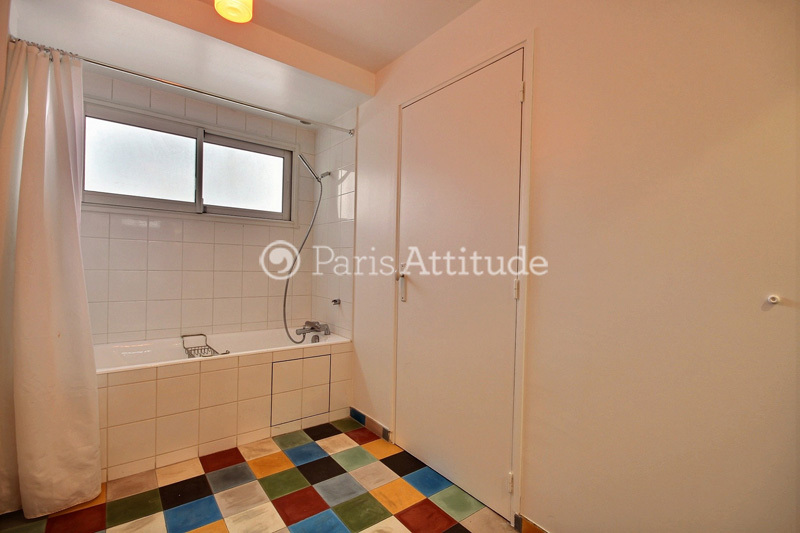 It is equipped with : washbasin, shower, tiled floor. 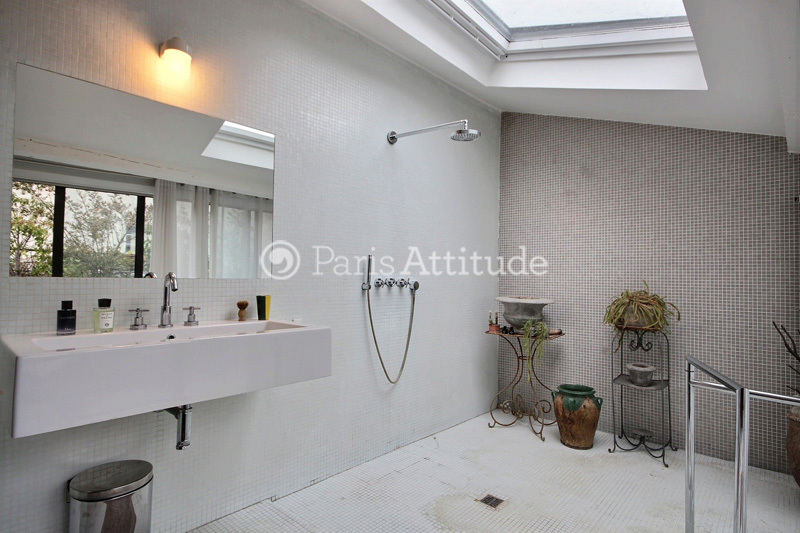 The 8 square meters bathroom is on the 2nd floor and has a double glazed window facing courtyard . 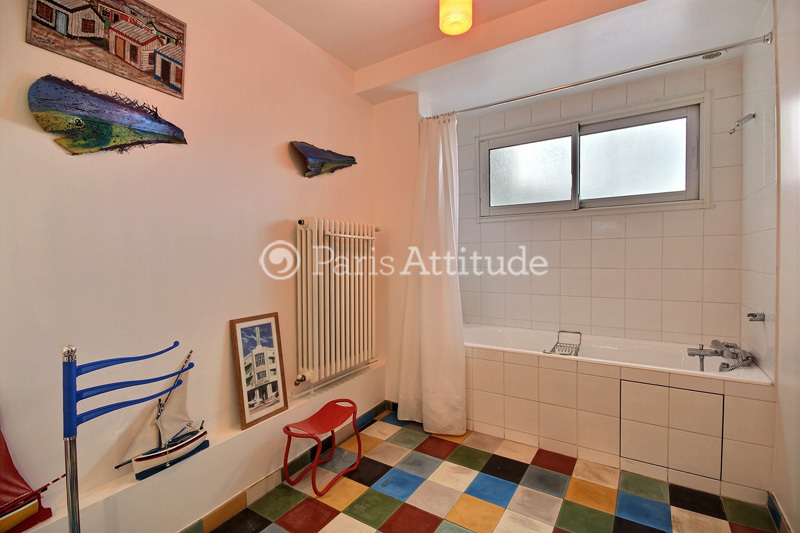 It is equipped with : washbasin, bathtub with showerhead, tiled floor, 1 separated toilet in the apartment. 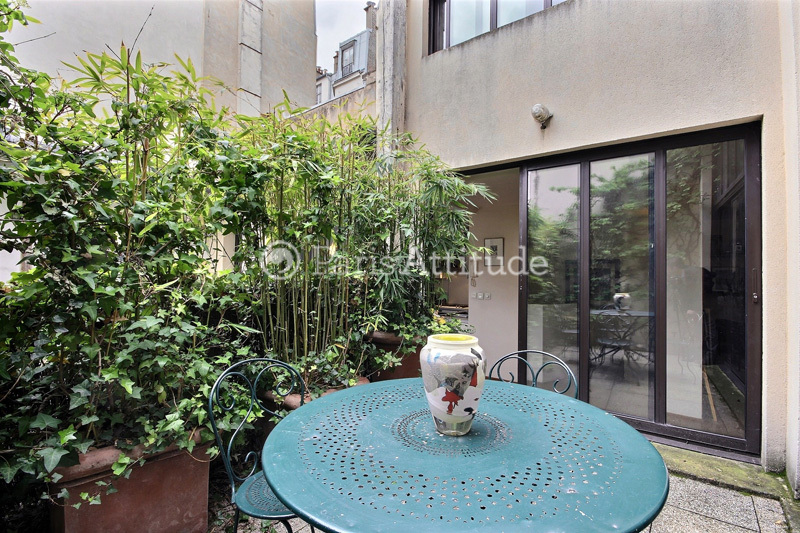 The 12 square meters office has a double glazed window facing courtyard . 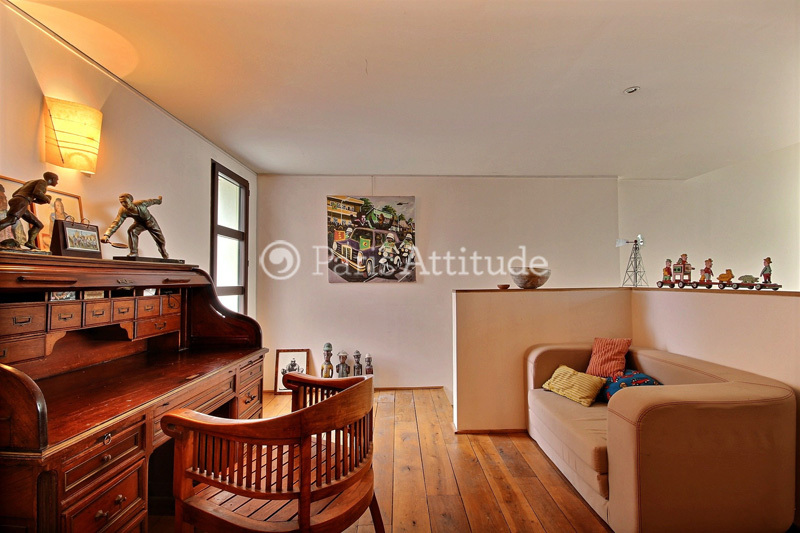 It is equipped with : sofa, desk, hard wood floor. 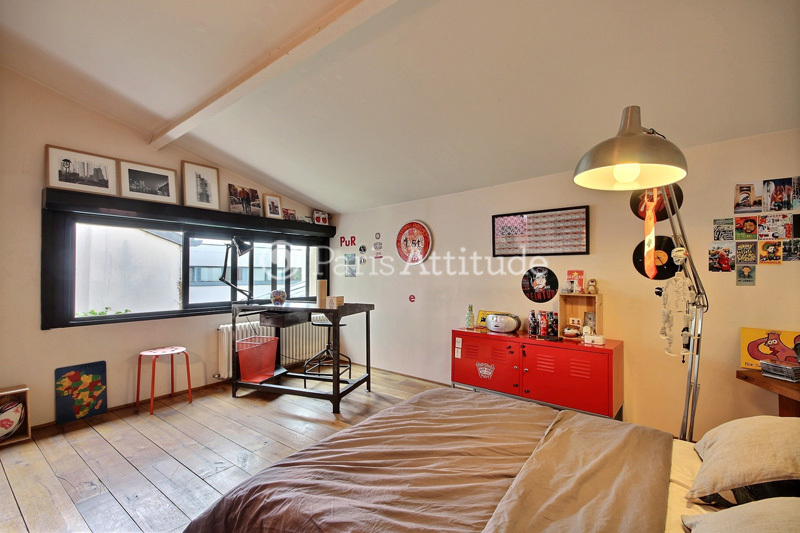 It is on the 2nd floor. 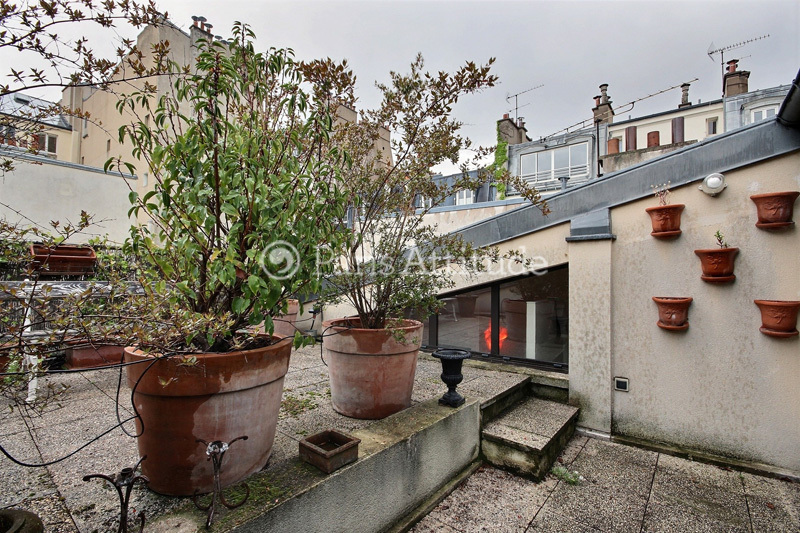 There is the very nice terrace leading on the living and dining rooms. 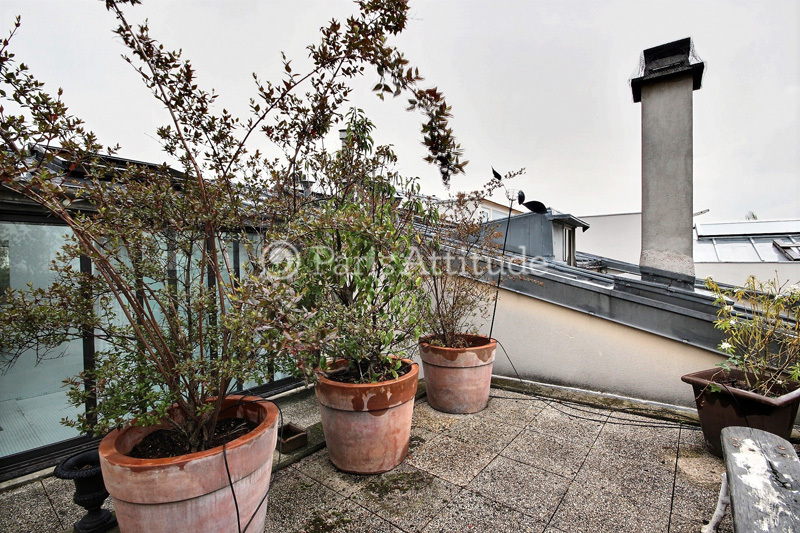 There is the 2nd terrace of the bedroom 1.